Here's a chart of social media usage from Pew Research. 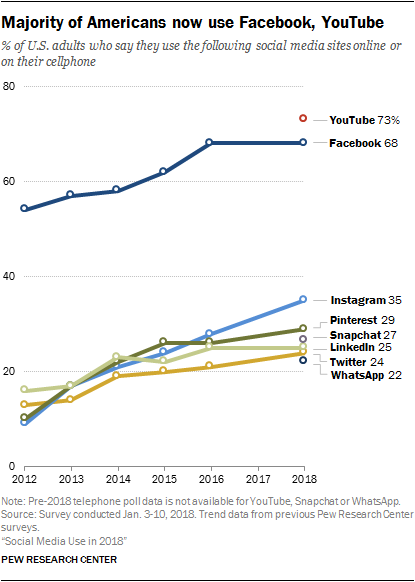 YouTube and Facebook are by far and away ahead of the pack, but Facebook's been stagnant for a few years, at least in the U.S. Note that there's no tracking data on YouTube: they only just sampled its popularity in their surveys. Like everyone else, they only just noticed that it was Google's real social network all along.